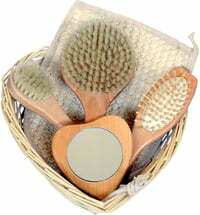 Ideal for all over body cleansing and the prevention of in-grown hair. 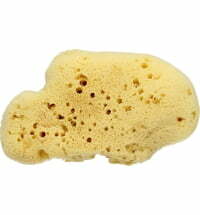 Loofah is plant that grows all-year-round, with beautiful yellow flowers and green fruits that look like cucumbers. 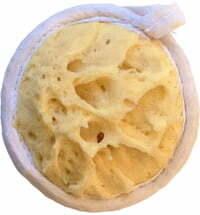 Its fruits are cylindrical and during ripening the interior is transformed into a dense network of fibres. 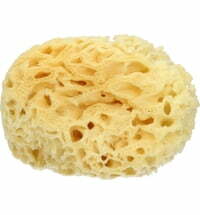 Loofah is basically the skeleton of the ripe, dried fruit. 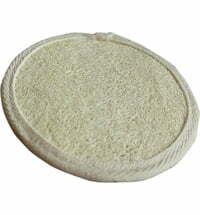 Its popularity, for personal hygiene, has established itself as a favourite natural alternative to the synthetic/artificial sponges on the market today. 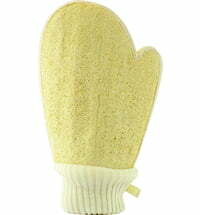 This is due to the gentle and natural exfoliating effect the fibres have on the skin. 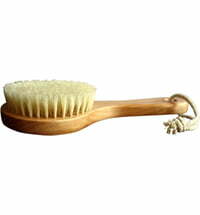 In addition to being used to exfoliate and invigorate the skin, loofah can also be used to scrub dishes and cooking utensils. 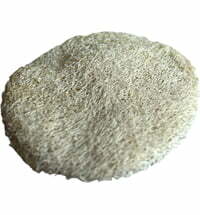 Loofah products are 100% natural, biodegradable and it is a totally renewable resource. 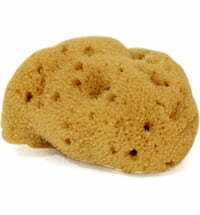 Put just a few drops of natural soap on the damp loofah and massage with circular movements on wet skin. Sensitive skin: Once a week. Normal/Oily skin: Twice a week. Its peeling effect will eliminate dead skin cells, blackheads and rough skin leaving your skin smooth, revitalised and cleansed. AFTER USE: rinse well after each use. 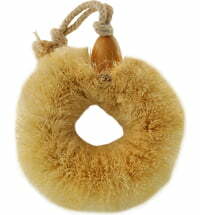 Wring and hang to dry in a well-ventilated environment. 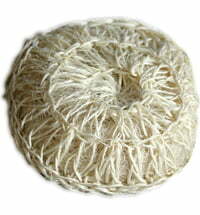 Super soft double sided 100% natural loofah, with pure cotton trim.